This is one of those ‘I must be living under a rock’ things. 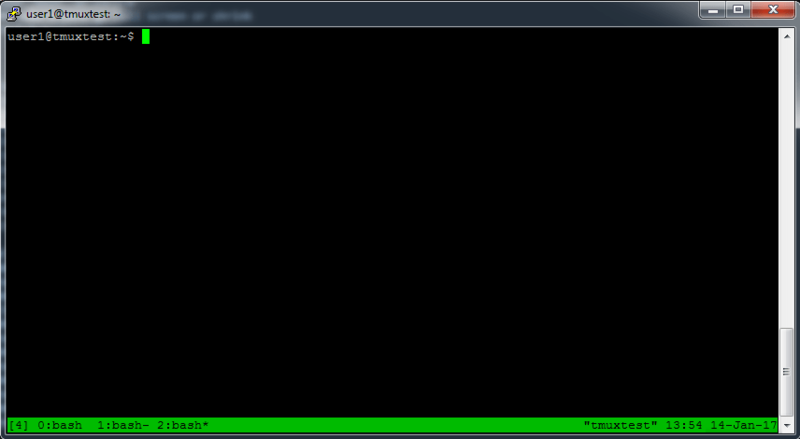 I’m not sure how I’ve never heard of TMUX before but it’s really pretty awesome. I initially came across it when searching for a way to share a terminal session with another user. 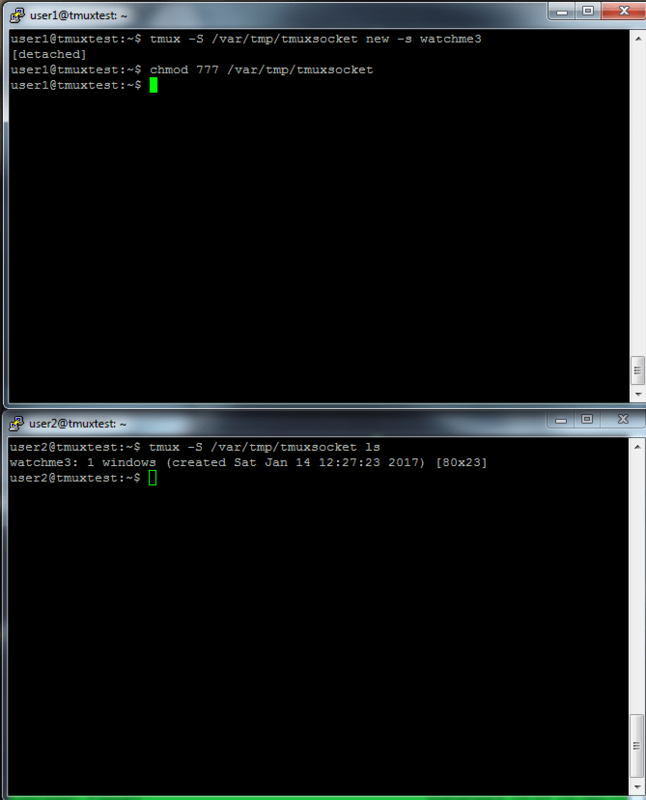 It does that quite well but it’s also a great terminal session manager allowing for pane, window, and session management. Let’s take a look at a quick example to show you what I mean. 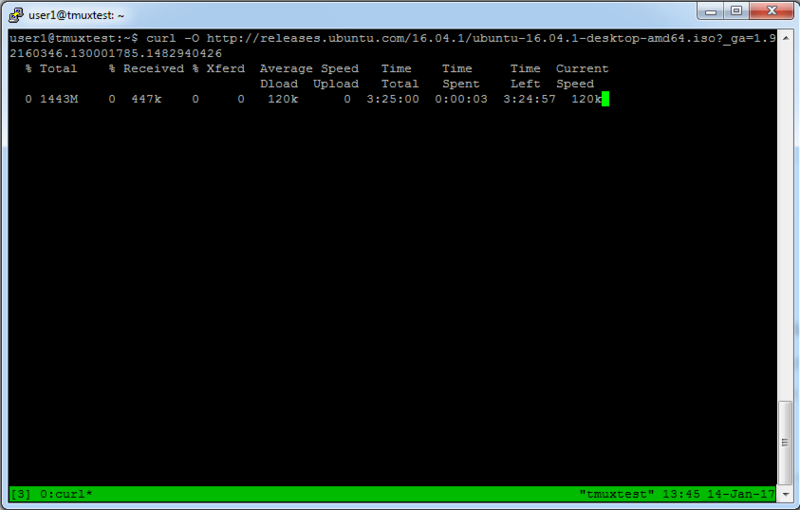 Here we have a server called ‘tmuxtest’. 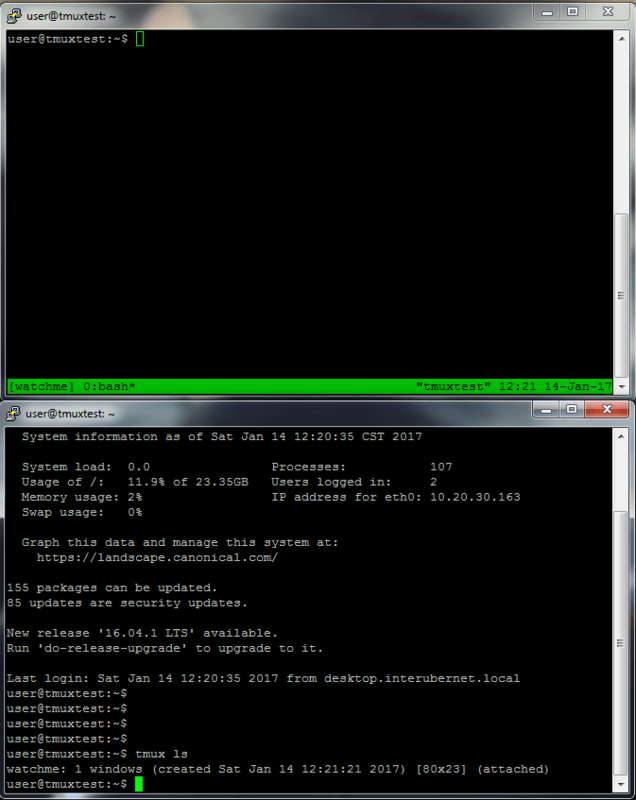 The server already has TMUX on it by default but if it’s not there you can easily install it (sudo apt-get install tmux, etc). So let’s say I want to start a new session. The easiest way to do this is to just type ‘tmux’..
As you can see, we can select different panes pretty easily by using the arrow keys and end them as we typically end windows with ‘exit’. So that’s all well and good, but that didnt buy us much. What else is there? And before I get too far ahead of myself, I should talk about windows as well. 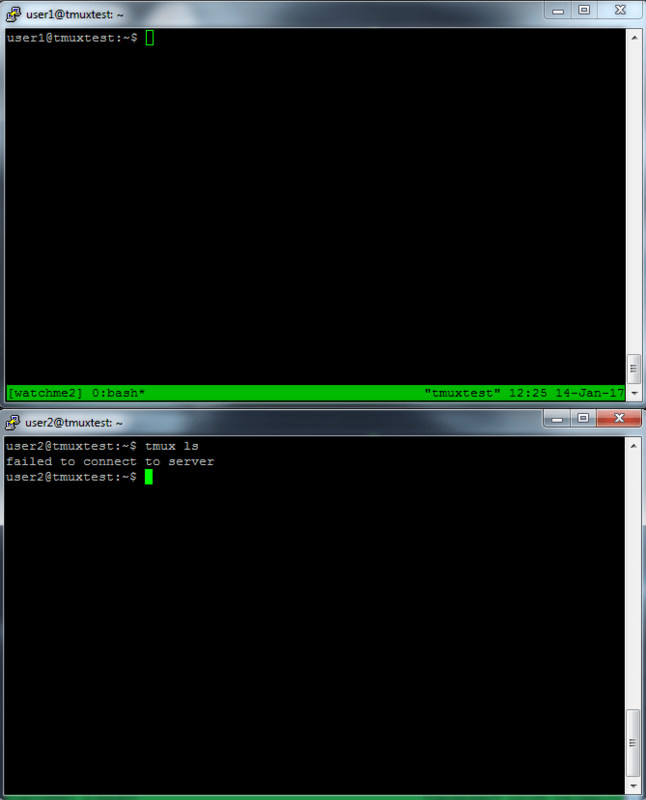 A session can have multiple windows. For instance, if I start a TMUX session I can press ‘Ctrl-b c’ (I’ll do it twice)..
Notice how we create the session under user1 as normal with the exception of passing a parameter to the ‘-S’ flag. 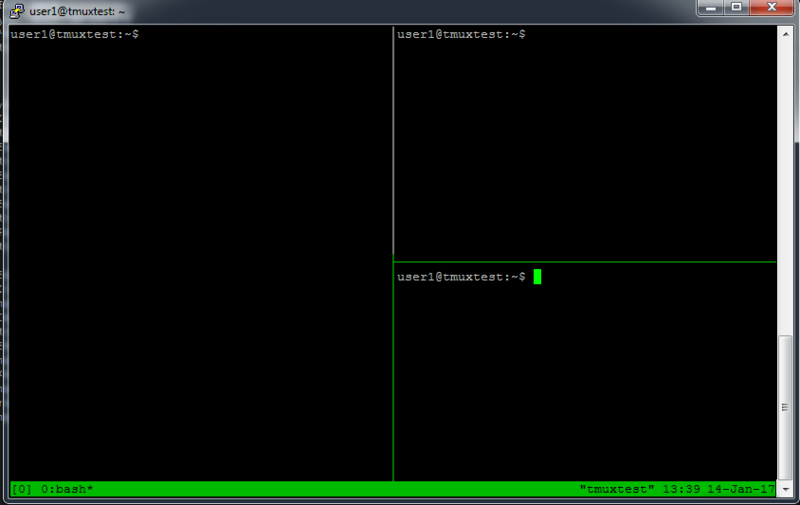 The ‘-S’ flag tells TMUX to create a socket at the specified location, in this case ‘/var/tmp/tmuxsocket’. Then I detach from the session, and change the permissions on the file so that all users can access it with the ‘chmod 777 /var/tmp/tmuxsocket’ command. 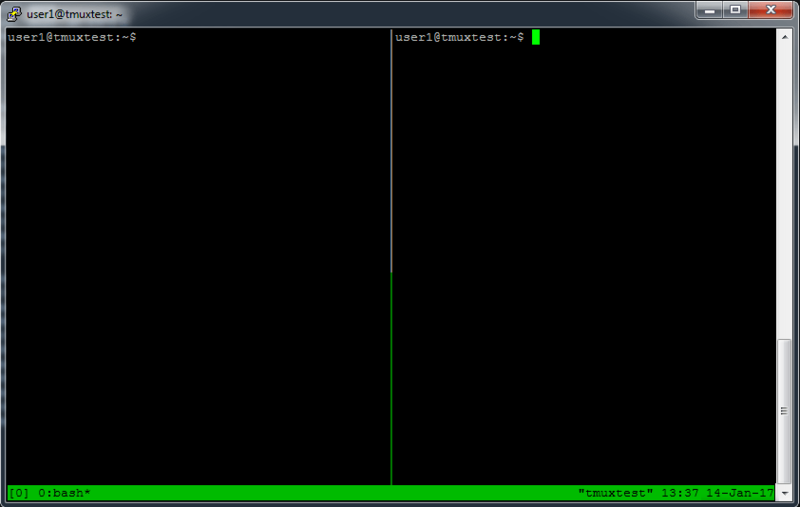 Now, user2 can see the session by telling TMUX where to look for the socket. Is this secure? Gosh no. Is this probably something you should only do with another user that you fully trust? Yes. But if you fit that criteria, it’s drop dead simple to share a session. That or you can both use the same account as we saw in the first example. 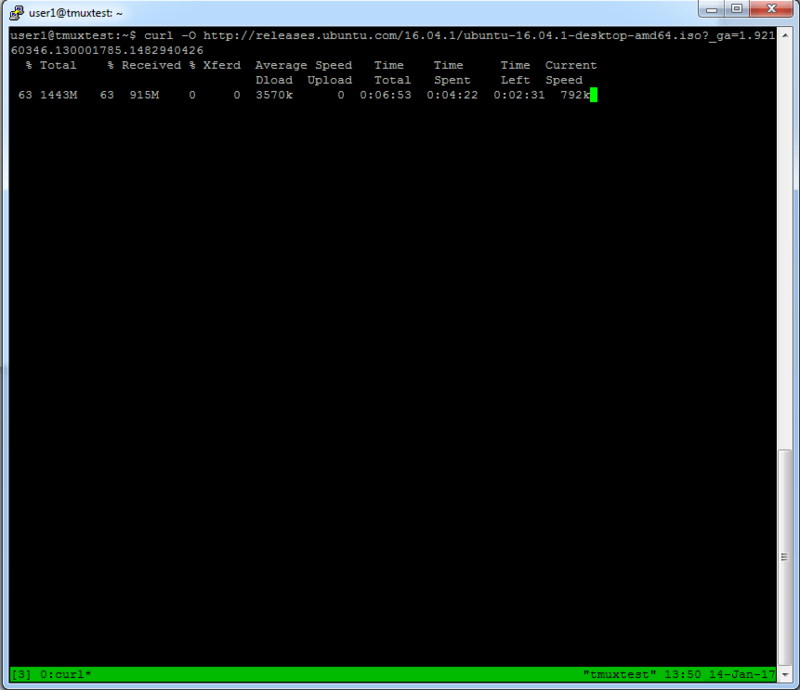 In any case – TMUX is pretty awesome. I plan on making it a permanent addition to my toolbox.